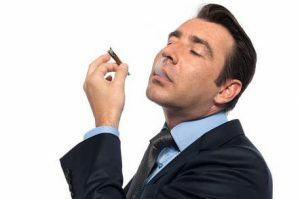 CALGARY, Alberta, Oct. 23, 2018 (GLOBE NEWSWIRE) — When you think of the stereotypical cannabis user, the average person may picture the quintessential ‘pot head’: a young individual working a low-paying job, if at all, who most likely has no more than a high school education. However, a recent study: Canadians and Cannabis, commissioned by Starbuds Canada, debunks the typical stoner myth and found that Canadian cannabis consumers are more than what is portrayed in the media. 27 percent of Canadians currently consume cannabis, which equates to roughly around 10 million people. Of those individuals, the study finds that the majority have a post-secondary education or higher while 33 per cent have families. Not only are the demographics for cannabis usage shifting, the reasons for consuming cannabis are changing as well. Nearly 50 per cent of Millennials use cannabis to reduce anxiety, rather than for the conventional ‘high’. A further 17 per cent of Canadians are curious about trying cannabis, most of them over 45. However, even though the demographic of cannabis users is skewing older and towards a more affluent audience, 48 per cent of Canadians are not confident when it comes to understanding their province’s rules and regulations around recreational cannabis. This news release contains statements that constitute “forward-looking statements.” Such forward looking statements involve known and unknown risks, uncertainties and other factors that may cause Compass’ actual results, performance or achievements, or developments in the industry to differ materially from the anticipated results, performance or achievements expressed or implied by such forward-looking statements. Forward looking statements are statements that are not historical facts and are generally, but not always, identified by the words “expects,” “plans,” “anticipates,” “believes,” “intends,” “estimates,” “projects,” “potential” and similar expressions, or that events or conditions “will,” “would,” “may,” “could” or “should” occur. The forward-looking information in this news release includes disclosure about the conversion and opening of future Compass locations and the future success of the business and operations of Compass. Actual results may vary from the forward-looking information in this news release due to certain material risk factors. These risk factors include, but are not limited to: adverse market conditions; reliance on key and qualified personnel; the inability to convert current Compass locations into retail cannabis retail locations; the inability to successfully complete the transactions contemplated by the Letter of Intent; and regulatory and other risks associated with the cannabis industry in general. Compass Cannabis cautions that the foregoing list of material risk factors and assumptions is not exhaustive. Compass assumes no obligation to update or revise the forward-looking information in this news release, unless it is required to do so under Canadian securities legislation.